﻿ How to buy suitable sand recycling machine? 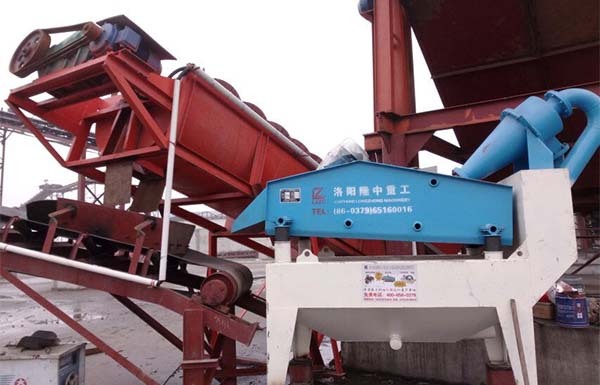 Location: Home » NEWS » How to buy suitable sand recycling machine? How to buy suitable sand recycling machine? Fine sand recycling machine is the main equipment for fine particle material recovery and sediment separation and extraction. It is widely used in the recovery of fine particle materials such as mud purification, hydropower station sand and gravel aggregate system, glass raw material processing system, artificial sand production line and coarse recovery of coal preparation plant. Fine sand recycling machines can not only recover the lost fine sand to improve the sand quality and output, but also can greatly reduce the pollution to environment. They are very valuable device for the enterprise. With the wide application of fine sand recycling machines in various industries and the increasing number of users of sand recycling machines, there are so many brands, types and models of fine sand recycling machines in the current market. How do users to choose more suitable sand recycling machine? The materials, scale of production, and size of site of each customer are all different, so the applicable of fine sand recycling machine is different. For example, the sand is seriously drained during the washing process, but the quality of sand is good. 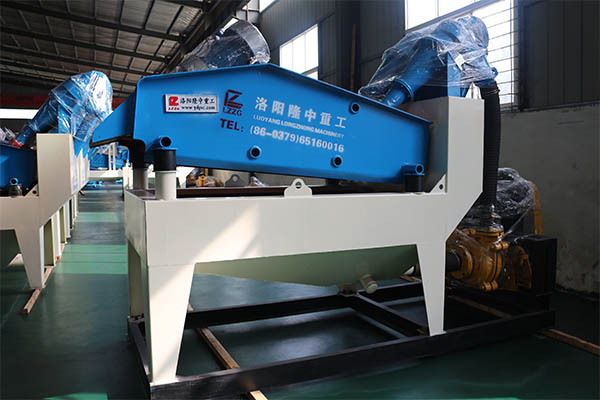 At this time, only the fine sand recovery machine is needed; but the fine sand loss is serious, and the washing machine is not high in cleaning. Dewatering type fine sand recovery machine is more suitable. Because only good communication, manufacturers can know our basic situation and recommend a truly suitable product according to the corresponding production situation. In particular, the amount of capacity, the size of the particles and the amount of sediment are critical to the purchase of the fine sand recovery system. Otherwise, the purchased equipment is too large, causing the machine to fail to reach full load, and long-term idling causes waste of energy consumption. If the equipment is too small, it will not meet the requirements and bring more problems. The discharge fineness range of discharge port of different types fine sand recycling equipment are different. If the fineness requirement of finished product is high, you need to select the model with smaller discharge. The processing capacity of different fine sand recycling machines is different, which is related to the quantity of production. The sand recycling equipment of different models and specifications has different processing capacity. If the existing models can not meet the demand, you can also seek tailor-made. Service, let the fine sand recycling machine manufacturers tailor the model of the fine sand recycling machine according to your production requirements. The feed concentration of fine sand recovery machine requires a solid content of less than 30%. Product quality is a important thing that everyone cares about, so it cannot be ignored. When purchasing fine sand recycling machine, you need to pay attention to some core components such as slurry pumps, cyclones, vibrators, etc. Next：How to choose dewatering machine india?